Congratulations to the No Ormond Sky Tower folks who mounted the residents campaign. A controversial plan for a high-rise tower on top of Ormond train station has been dramatically blocked at the 11th hour after a motion to reject the project was passed in Parliament. The highly unusual move has been slammed by the property industry and planning experts, who warn it will undermine proper planning process and increase red tape. Planning Minister Richard Wynne had approved the 13-storey tower despite a long-running campaign against it by local residents and Glen Eira Council, which pushed for eight storeys to match the low-rise area. 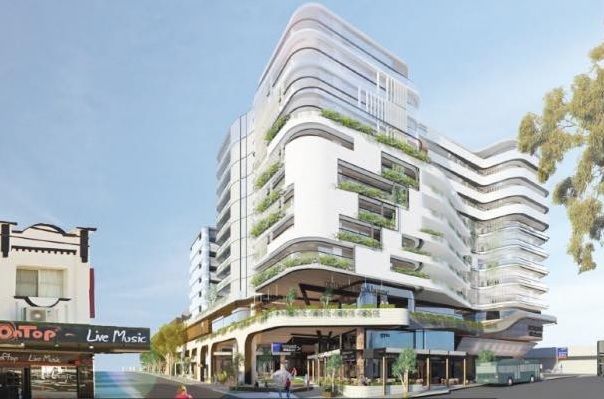 Mr Wynne backed the mixed-use development in the politically sensitive south-east with retail, offices and 233 apartments after a planning panel endorsed the project. But it was blocked at the final planning approval stage in the Victorian Upper House on Wednesday by the opposition, Greens and Australian Conservatives’ Dr Rachel Carling-Jenkins. The project will now go back to square one, undoing a costly and extensive six-month planning panel process. It is an exceptionally rare move, with the last revocation occurring eight years ago. Glen Eira mayor Mary Delahunty has already indicated that the council will now have to fork out tens of thousands of dollars to re-engage legal representation and experts for another round of planning panel hearings. Shadow Minister for Public Transport and Planning David Davis, who first moved to revoke the project, said he was not opposed to the “value capture” model at level crossing removal sites. Opposition Leader Matthew Guy approved thousands of high-rise apartments in Melbourne’s CBD when he was planning minister, yet Mr Davis claims he chose to intervene in the Ormond station project because the building was too high for the local area. It comes as the opposition and Greens unsuccessfully sought to block another development on Wednesday – the controversial Markham Estate – which is 1.4 hectares of prime Ashburton land the Andrews government wants to develop for both private and public housing. Greens MP Sue Pennicuik​ and Mr Davis have suggested that they will use the revocation tool to block projects they disagree with, which could create a headache for the government with minority status in the Upper House, as it pushes through development and transport projects across the state. The Ormond station tower falls in the safe Liberal seat of Caulfield, but borders on the marginal seat of Bentleigh, currently held by Labor. Public Transport Minister Jacinta Allan accused Mr Davis of pulling a “political stunt”. Ms Allan said those losing out were “young families wanting to rent a house or get into the property market in Melbourne close to public transport”. The Property Council of Australia’s Victorian executive director Sally Kapp​ said revoking projects in Parliament opens up a “new avenue” for properly vetted projects to be pulled at the last minute, driving up cost, delays and creating uncertainty. She warned that this would threaten investment and development in the state. “We have just made it harder to do business in Victoria. We have made it harder to build worthwhile projects in Victoria. Associate Professor in Urban Planning Alan March said if the opposition continues to successfully revoke planning amendments, this would “change the face of the planning system”. “It would mean more and more political influence and less and less professional influence over the planning scheme,” said Dr March. Land value capture, which involves selling public land to developers, is the strategy used by the Andrews government to help recuperate funds for the $6.9 billion level crossing removal project. 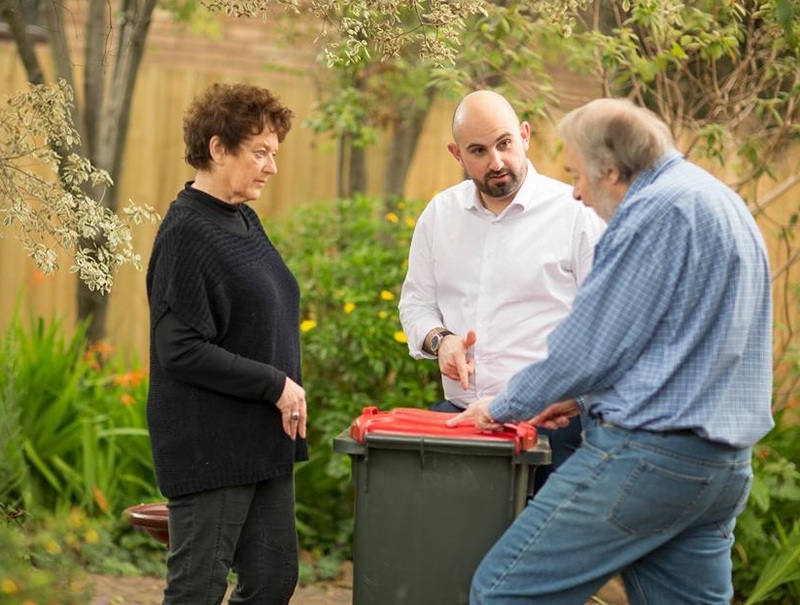 Council has released information on the next round of Community Forms to discuss the Bentleigh, Carnegie, Elsternwick and East Village centres Draft Structure Plans. Unfortunately, the timing isn’t the greatest (proximity to the upcoming Festive Season) and the documentation is voluminous (the time required to assess will be significant), however, what’s being presented is significant and resident participation/commitment is essential. Basically, it’s a case of make the effort now, to ensure the revised Planning Scheme reflects community views or, make a potentially greater effort later as individual planning permit applications are lodged. Monday, 4th December, 2017 – 6.00 – 8.30 p.m.
Thursday, 7th December, 2017 6.30 – 8.30 p.m.